What stories do you relate to as an INFJ? Not just a character in the story that you identify with, but also themes and plot points that speak to something inside you. That’s what this blog post is about. It’s not necessarily a list of INFJs’ favorite books and movies (though there is some overlap). 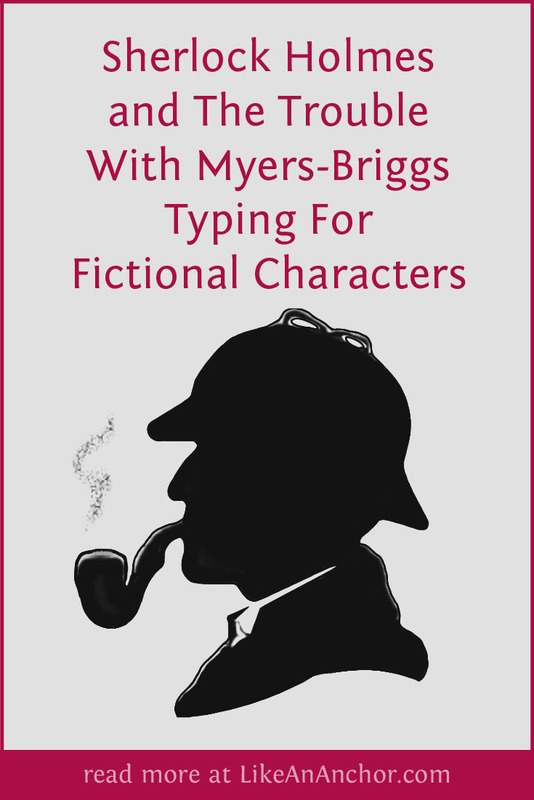 It’s not even about INFJ fictional characters, though they do appear in several of these stories. This list is about stories that INFJs can read or watch and see something of their dreams, desires, worldview, and personality. We love to find ourselves inside stories, and the 10 on this list are among the stories that INFJs find most relatable. Even though it’s always at the top of INFJ movie lists, I’d never seen Amélie (2001) until I watched it to write this post. I thoroughly enjoyed it, and I can’t think of any film character who’s more relatable for me as an INFJ than Amélie is in this film. Note: an updated post about Kylo Ren’s Myers-Briggs type can be found on my Star Wars blog, Costumes and Characters. 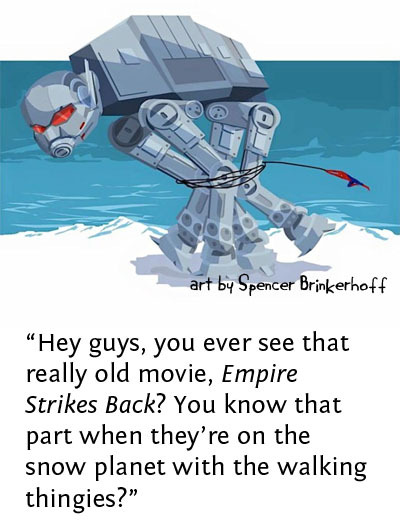 If you were reading this blog two years ago, you know Kylo Ren is the new Star Wars character I found most intriguing. While most other fans were debating who Rey’s parent’s could be and what we might learn about Snoke’s origins, I was in the smaller group analyzing Kylo’s character arc and reading every in-canon novel looking for glimpses of his backstory. Honestly, the thing I was most excited for going into The Last Jedi was seeing whether or not I’d still type him as an ENFJ after learning more about his character. 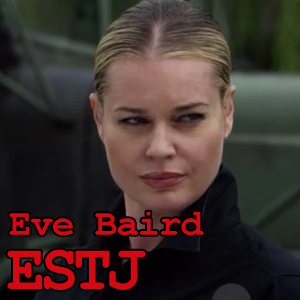 My siblings seemed to think that was weird, but what can I say — I love a good Idealist-type villain and writing/thinking about personality types is what I do. Can you blame me? 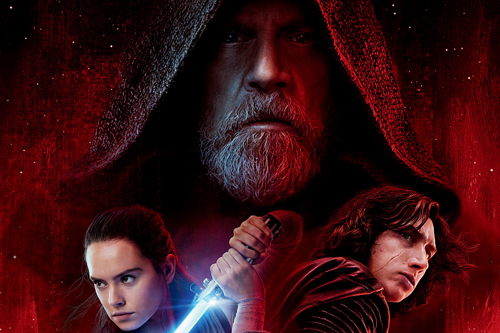 Seriously, if you don’t want to learn about major plot points and character arcs in The Last Jedi then get yourself to a theater before you read this blog post. This might be my biggest question coming out of the film. 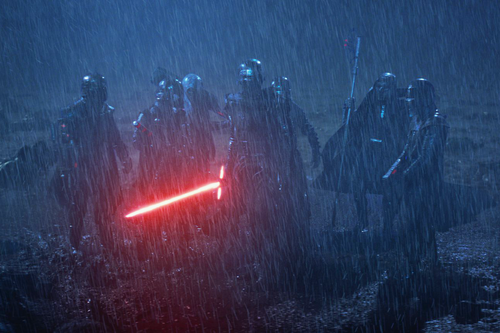 We caught a brief glimpse of the Knights of Ren in The Force Awakens and learned that Kylo is “master of the knights of Ren,” but that’s about it. People weren’t even sure whether the Knights of Ren were an order Kylo joined or one that he founded (I was on the “founded” side of the argument, suggesting “Knights of Ren” should be taken as “Knights who follow/belong to Ren”). In The Last Jedi, Luke reveals that he was training 12 students when Kylo destroyed his new Jedi academy. A “handful” of the students joined Kylo and he slaughtered the others. It’s not too much of a leap to say that those students became the Knights of Ren, which would support my favorite theory for their origin, but where are they now? They’re not mentioned by name in this new film and it seems that if Kylo had a half-dozen force wielders sworn to follow him he should have been using them to hunt down the last of the resistance as well as Rey and Luke. I really can’t talk about Kylo Ren in The Last Jedi without talking about what happened between him and Rey. When they started communicating across the galaxy with each other I was really expecting a sibling reveal. It just so neatly parallels Luke and Leah’s Force-assisted communication. But then we find out Snoke was behind the connection and Rey’s parents are “nobodies.” I’m a little disappointed that there isn’t more of a reason for her connection with Anakin’s/Luke’s lightsaber, but I’m okay with this direction for her character’s story. She doesn’t have to be a Skywalker to be strong in the Force — the thousands of Jedi who existed prior to there even being a Force-sensitive Skywalker proves that. Anyway, back to Rey and Kylo. It really wasn’t clear there for most of the film whether he would turn to the Light or she would turn to the Dark. I loved that edge-of-your-seat emotional drama. The moment where they touched hands (you know that one I’m talking about) gave me all the feels and watching them fight Snoke’s guard together might have jumped into my top-3 favorite lightsaber battles (I’ll have to watch it again, probably very soon, to be sure). I’m beyond happy that my post from two years ago speculating about Kylo’s origins and personality type is still relevant after what we learn in The Last Jedi. I don’t think they contradicted any of my guesses, and when we learn that Kylo destroyed Luke’s academy after waking to see his mentor holding a lightsaber over him … well, that just supports my theory that Kylo was desperate for a mentor figure who would actually be there for the “real” him instead of one that was so terrified of his potential to be like Vader that he thought about killing him. 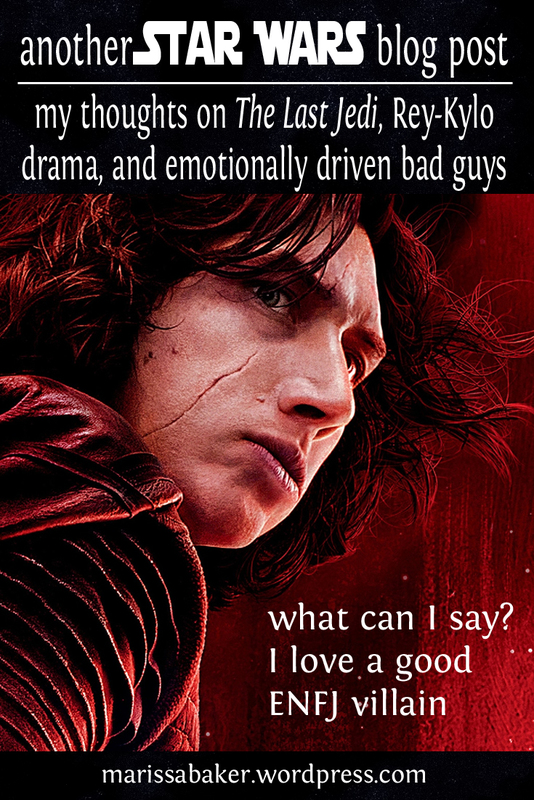 Also, I still think Kylo Ren/Ben Solo is an ENFJ personality type, albeit a very unhealthy version. He’s still showing a strongly idealist (NF) streak and his pitch to Rey when asking her to join him is right out of the NFJ villain textbook. It’s the same kind of argument you see in INFJ Ra’s Al Ghul use: the world is broken, so we need to wipe it clean and rebuild something that actually works. I had a few people argue on my last post that Kylo is an introvert, but I’m still going to go with Extrovert. I feel like he’s leading with his Extroverted Feeling rather than Introverted Intuition, and when we see him go into “stress mode” it looks more like the ENFJ’s inferior Thinking than the INFJ’s inferior Sensing. 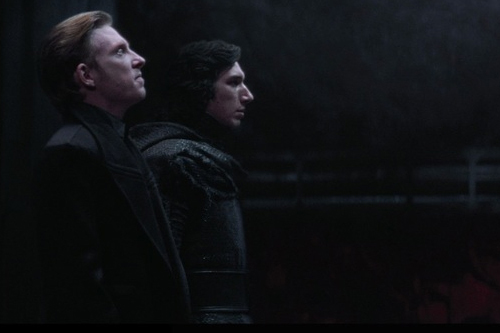 I’m sure General Hux would say Kylo is excessively critical, displays convoluted logic, and has obsessive behaviors when in the “the grip” of his 3-year-old mental process. 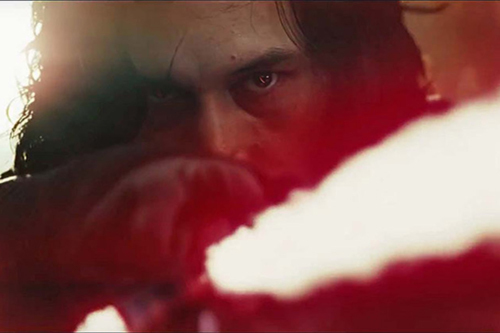 In contrast, a stressed INFJ is usually characterized by obsessive focus on external data (Kylo ignores such data), overindulgence in sensory pleasure (not something we see from Kylo), and adversarial attitude to the outer world (his rage is more focused on specific people than the idea that the world is out to get him). I love that as a villain, Kylo’s driving motivation is far more about connection (or lack thereof) than power (which is another reason to type him as a Feeling-dominant ENFJ). His major choices in this film all have to do with who he is and isn’t connecting with. We learn that in the past he lashed-out at Luke and all his students when he believes his mentor was about to kill him, and we see a similar thing happen when he kills his current mentor Snoke. Snoke has been telling Ren the whole movie that he’s pathetic and easily controlled, so when Snoke demands Kylo kill the one person he’s formed a new bond with (Rey), Kylo kills Snoke instead. It’s a very Sith-like move to kill your mentor and take an apprentice, but that’s not exactly what Ren is trying to do. He’s been building an emotional connection with Rey and his pitch to her is less rule-the-galaxy-and-bring-order (like ENTJ Vader) than it is bury-what-hurt-us-and-build-something-new. And that’s on top of his assurance that she means something to him personally after they learn that she comes from nowhere and is a “nobody” (Update: director Rian Johnson has confirmed that Kylo, at least, believes he’s telling the truth). Even if the rest of the universe doesn’t care about them they could share a connection that would reshape the entire galaxy. It’s about relationship, not just power. And when Rey leaves him too, Kylo lashes out with such violence that even Hux thinks it’s excessive. When the red-headed Nazi thinks you’ve gone too far it might be time to reign yourself in. It’s going to be really interesting to see where this goes next. Much as I would love to see him truly follow in the steps of Darth Vader/Anakin Skywalker by turning back to the Light, I’m not really expecting a redemption arc for Kylo at this point. It’s probably more a toss-up whether Rey or Hux manage to kill him first (maybe Rey will best him in a duel, then Hux will shoot him as she’s struggling to decide whether or not to spare Kylo).